What sets Redwood apart from many other medical staffing franchise opportunities, is that you have the opportunity to add additional revenue sources to your bottom line. You will be able to offer travel nursing placements to fill positions in various facilities for short term assignments. Redwood Healthcare Staffing also enables you to provide non-medical "Companion Care" support to seniors and others in need of these services inside their home. 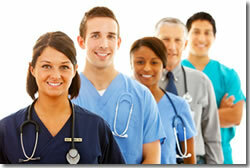 Why Choose Redwood Healthcare Staffing? What sets Redwood apart from many other Senior Care franchise opportunities, is that you have the opportunity to provide both "Licensed" Healthcare Professionals as well as non-medical support "Companion Care" to Seniors in need of services. 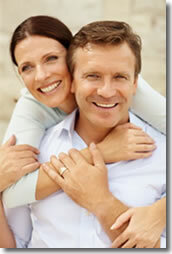 In essence, almost every service that a nursing home will provide, you may offer in the home. Redwood Healthcare Staffing is the right choice because we help our franchisees take full advantage of the growing healthcare industry. We do this by providing comprehensive training and and on-going support by committed industry veterans - who will teach you how to operate your franchise using our highly successful business model carefully honed and perfected by us for 30 years! Our industry veterans are here to guide and help you along your journey of becoming your own boss. At Redwood, our door is always open - phone calls, emails, and continued training. We understand that our success depends on your success. The ideal franchise owner will be adept at building relationships and comfortable in a sales and marketing role. We are looking for people with strong business acumen, a positive attitude, and strong work ethic. Franchise fees range from $30,000 - $45,000, start-up costs are approximately $16,000 - $29,000, and approximately $80,000-$110,000 for the first few months of operating expenses. Please note this franchise is currently only accepting inquiries from CA, AZ, NV, UT, OR, or CO. Intersted parties should have at least $100K to invest. Click on Request Information for FREE info on how to open a Redwood Healthcare Staffing franchise today! Please Note: This Redwood Healthcare Staffing franchise opportunity and other franchise business opportunities, businesses and franchises for sale on this web site are not to be considered as an "offering", "franchise offering", suggestion or recommendation by Franchise Leader™. This advertisement depends entirely on the truthfulness of the information provided by our advertisers which includes, but is not limited to, franchisers, franchise brokers, franchise consultants and business brokers. Franchise Leader™ recommends that you consult a lawyer, financial consultant, accountant or professional advisor before buying a franchise or business opportunity or any type of business. By using this form or any part of our website, you have agreed to all terms and conditions of Franchise Leader™. Please review our Terms & Conditions for more information.